This book addresses the relationship of citizenship and public management in Europe. After fifteen years of State reform, it is time for an overall discussion of the theoretical and empirical impact and limits of New Public Management, as one of the latest re-orientations in public administration, on the practice of citizenship. All the authors have pointed out the tension between a focus on improvement of state bureaucracies, on the one hand, and the involvement of citizens in the co-production of policies on the other. They point to a fundamental change that is taking place: the importance of state apparatuses for the development and sustainability of viable societies is being de-emphasised and special attention to "governance" is now taking over the central place, that for so long has been occupied by attention to "government". Through the co-production of public policies by citizens and public authorities working together, a new civil society is emerging. 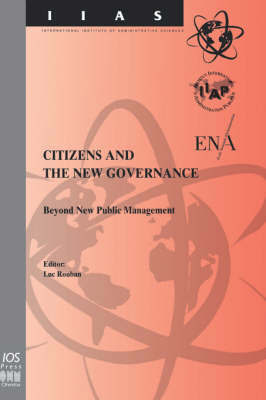 This book highlights the fact that the re-invention of the citizen is of crucial importance to public administrative practice, as well as to the various public administration disciplines in Europe.